Children and cats can be wonderful companions for each other. My kids have had the most loving, playful, endearing relationships with the cats in our lives. These relationships didn’t just happen by accident though. We prepared, educated and set up an environment that was both kid-safe and cat-safe. As with any companion animal in the family, it’s crucial to use common sense, set up safeguards and create an environment that provides security for everyone. This isn’t just unique to cats – it applies to any companion animal you bring into the house where you also have children. The key is to prepare in advance and then continue to monitor and educate. 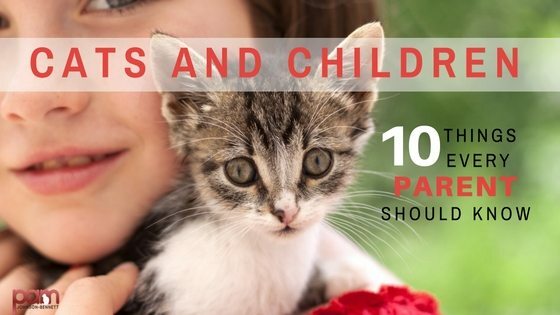 To get you started, here are 10 things that every parent should know when it comes to cats and kids living together. Surprised? 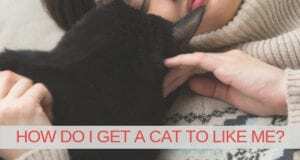 Don’t be, because many expectant parents panic about having a litter box in the house during pregnancy after being told by their doctors that if a pregnant woman touches cat feces it will harm the fetus. Sadly, parents are given inaccurate information and they end up getting rid of the cat in a total panic. Here’s the truth: there is a disease called toxoplasmosis, caused by the parasite toxoplasma gondii, that can result in birth abnormalities in the fetus. Just about all warm-blooded animals, including humans are susceptible to this common parasite but cats are the primary host carriers and shed the oocysts through their feces. The accurate information is that the oocysts don’t become infective right away after being shed so if the litter box is scooped twice a day, it will greatly reduce the risk. Pregnant women should have other family members do the litter box duties to be on the safe side. If you’re pregnant and must do litter box duty, wear disposable gloves, a face mask and wash your hands afterwards. The most important way to prevent infection is to practice good hygiene and common sense. Additionally, the risk of toxoplasmosis is actually greater by the improper handling of raw meat or using the same cutting board for vegetables/fruit that you use for cutting meat. The best way to prevent toxoplasmosis is to educate all family members about washing hands and using proper care in the kitchen and when cleaning the litter box. Make sure all fruits and vegetables are washed before eating, don’t allow your cat to eat raw meat and keep your cat indoors. Infection is probably more likely to occur with a cat who is allowed outdoors where he can ingest infected prey, dig in infected soil or come in contact with the feces of an infected cat. Speak to your veterinarian for more information on toxoplasmosis but please don’t get rid of your cat. Be informed and you’ll discover the risk is very small compared to the everyday risk you face by handling and/or eating raw or undercooked meat. Previous: Adopting a Kitten? Make it a Double! Late reply but: most likely the cat is trying to move the baby to secure location, just as mother cat do with kittens.